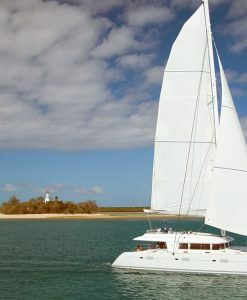 Port Douglas Reef Charters has a number of catamarans available for charter to Low Isles or the Great Barrier Reef. Catamarans are great for sea travel as they are broader and more stable in less than perfect weather. Most of the Port Douglas day dive boats are catamarans for this reason. Catamarans also have a good amount of deck space which means room to move for passengers. The only time catamarans are not very comfortable is when there is a beam (or side on) swell. Then they have a short choppy movement. 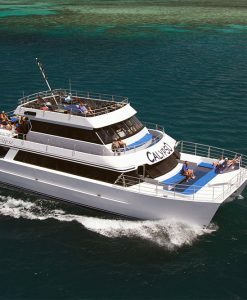 The dive boats from Port Douglas Reef Charters also use the catamaran design as it allows them more space for gear and kitting up for scuba diving. The outer reef is a bit too far for the sailing catamarans to get to on a day charter from Port Douglas as it takes 1.5 hours for a fast traveling motor boat to get there. 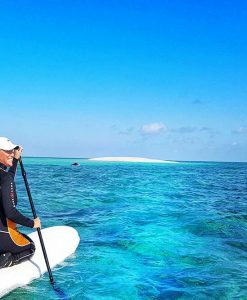 Most of the sailing catamarans from Port Douglas Reef Charters go to an island off the coast of Port Douglas called the Low Isles. 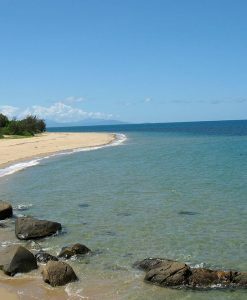 The Low Isles is not far from Port Douglas and it usually takes the sailing catamarans just under an hour to get there. There are also luxury sailing catamarans that visit Low Isles. There are also some nice sailing catamarans that offer sunset cruises from Port Douglas. 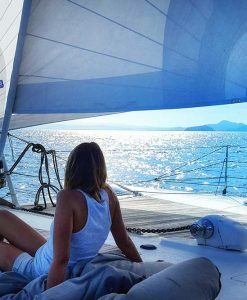 If you are looking for a sunset sailing catamaran from Port Douglas for a wedding reception Port Douglas Reef Charters have sailing catamarans that can take up to 45 passengers. 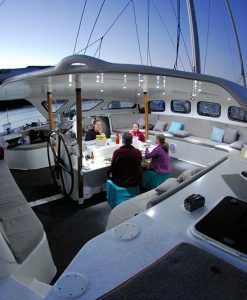 Sunset Cruises on the sailing catamarans from Port Douglas Reef Charters are usually conducted between 5.00pm and 7.00pm. 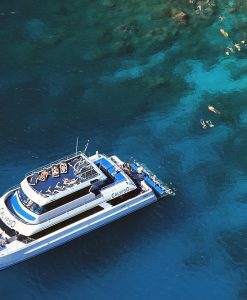 Port Douglas Reef Charters can assist you to arrange a charter of a catamaran to visit Low Isles, or to dive on the Great Barrier Reef or enjoy a tropical sunset on a sunset cruise. Sunset cruises on a sailing catamaran are a lovely way to celebrate a wedding or special event. Canapes and alcoholic beverage packages can be tailored to suit your personal requirements.